Every day analysts at Birinyi Associates carefully calculate and monitor price extremes for the S&P 500 and its sectors and stocks, and deliver a concise breakdown to clients. These extremes are based on several different measures, some of which are detailed below. 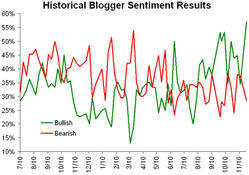 The following charts detail one measure of an extreme based on standard deviations from the 50-day price average. 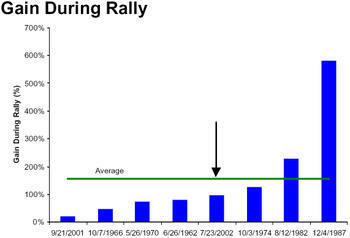 The vertical line through each chart indicates the market top on 10/9/07. Another measure of a market extreme is calculated based on the current price versus 50-day price average. 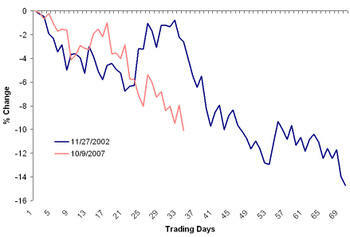 On October 8th, 2007 Birinyi Associates released two bulletins warning of a market decline and possible correction. These bulletins are shown below (although the 21 page earnings bulletin is abridged). For more information on the Birinyi Mini Institutional service click here. For more information, rates and to subscribe at any Birinyi research service click here. Why Subscribe to the Birinyi Newsletter? A valid question on many accounts, but a plain and simple answer might be: To make money! Even investors who have their own opinions about the market, and do well themselves, may be interested in a few new stock ideas. The table below highlights this year's newsletter portfolio performance. The results are based on owning 100 shares of each stock, and are therefore not skewed wildly by a tech stock that moved from $2/share to $4. Follow one of the links to the left for either a monthly or annual subscription, or click here for more information. 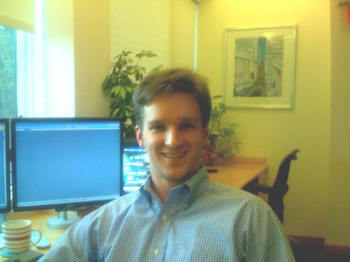 Laszlo Birinyi will appear on Bloomberg TV today (November 28th) at 3:30pm to discuss his views on U.S. equity markets. The Birinyi monthly newsletter, Reminiscences, will be published today after the close. Written personally by Mr. Birinyi each month, readers have access to his market views, commentary and long term strategy. The newsletter service offers three investment portfolios based on conservative, growth and trading strategies; as well as Birinyi Associates' proprietary interactive stock rating system covering every stock in the S&P 1500. Active investors interested in market structure and strategy will greatly benefit from the views and opinions expressed in the Birinyi Newsletter. Birinyi Associates offers some of the best qualitative and historical research, in addition to creative and dynamic views not available anywhere else on The Street. Click here to learn more about Birinyi products and services. Professional investors requiring daily information and detailed ad hoc strategy pieces may also be interested in the Birinyi Mini-Institutional service. Sign up today and receive your newsletter this afternoon. Okay ... in all seriousness, we are in fact offering this entertaining and originally-designed "Stock Selector" dartboard to our readers and recommend it as a wonderful office decoration and an even better gift. The board itself is a very sturdy, pub-quality piece that weighs approximately 11 lbs, measures 18" X 18" and is 1.5" thick. It comes with the three darts and the quiver that you see in the picture and anchors for mounting it to the wall. The price is $89.95 including shipping anywhere in the U.S. (standard rates apply internationally), and it can be purchased right here on this site by clicking the Order button below. We have manufactured a limited supply of these and expect to sell out, so please order soon if you are interested in putting the old Wall Street metaphor of throwing darts to the test! Below we present the 2007 return of eighty different international equity indices through 11/26/07. China has been the best performer, returning 135% with the Ukraine a close second. Venezuela and Ireland have been the worst performers, down 28.04% and 29.89% respectively. As stated by the Journal this morning (and Birinyi Associates yesterday), the market is now down 10% from its 10/9 high. 2007 has been a year market with corrections, two are very significant and a third still deserves of attention. We have noticed some recent analysis pointing to comparisons between current market conditions and that of the first part of 2003. We note that this is also the first 10% correction since the decline that occurred between 11/27/02 and 3/11/03. 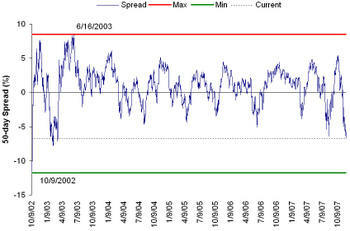 Below we show the S&P 500 50-day spread throughout the current bull market. It would be prudent to point out that the 11/27/02 correction preceded the strongest rally since 1990, taking the market up 95.47%. Having breached the 10% boundary, we would expect that (based on the averages) the market will continue down another 8%. In addition to the filter above, the graphic below highlights the current correction versus the previous 11/27/02 decline. The important investment decision left to be made is distinguishing between a correction and a bear market. 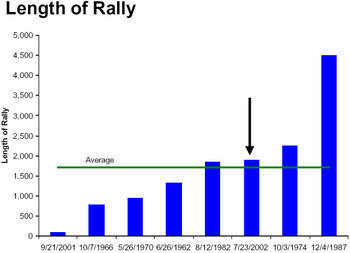 Based on historical cycles there is a 24% chance that the current decline will result in further losses of 20% or more. However, if we examine the state of our current bull market it is hardly extended beyond the historical "norm." Ticker Sense is back, and apparently the bulls have returned with it. This week's poll is a new bullish record! 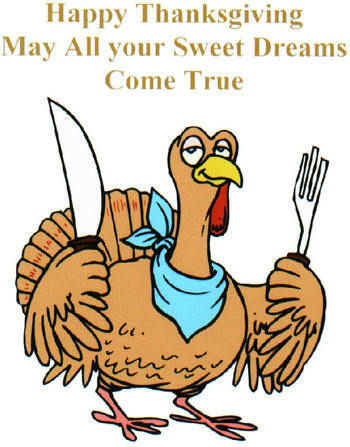 As of right now: 6pm, Friday, November 16th, Cleve Rueckert of Birinyi Associates also webmaster and sole contributer here at Ticker Sense is on vacation! 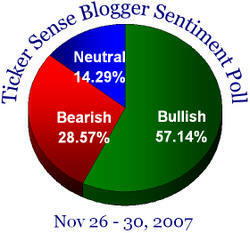 We have forgone the Blogger Sentiment Poll for the short week (participants were notified ahead of time). Cleve will be gone for the week, so do not expect many posts. We will be back up and running with the Sentiment Poll on Monday the 26th.